In 2011, the then 29-year old Lungisa Dangisa left Umtata, a small town in the Eastern Cape, and travelled to the Western Cape in search of a job and a brighter future. However, upon arriving in Stellenbosch, he soon discovered that finding a job was not that easy. However, finding a job in his new hometown proved just as difficult as he commenced a 12-month search to secure employment. One day, while chatting to a friend from his community, he was told about someone in the area who had completed one of Bergzicht Training’s programmes and had learned a marketable skill which helped him secure employment. In 2013, he enrolled at Bergzicht Training. With a background in the food industry, he decided to enrol for the City & Guilds’ Professional Cooking and Food and Beverage Service Programme which took him three months to complete. 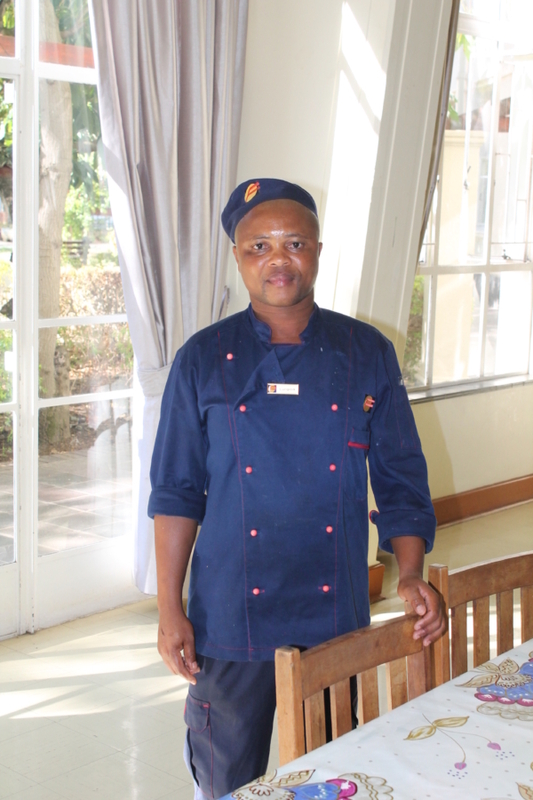 Through this programme, he learned, how to, for example maintain a safe working environment, handle and store food as well as prepare hot and cold dishes – all skills that he use on a daily basis at his current job as the assistant cook at the Fedics-owned kitchen at Minerva residence at Stellenbosch University. After completing his studies and a work-integrated training opportunity at Fedics, he was immediately employed as an assistant cook by the company, a position he has held for the past 3 years. He believes that it is the skills he learned at Bergzicht Training that helped him secure a job and continue to build his career over the last few years. He is also looking to the future and the life he wants to create for himself and his family. Photo: Lungisa Dangisa in the dining room of Minerva Residence where he cooks on a daily basis as an assistant cook in the Fedics-owned kitchen.